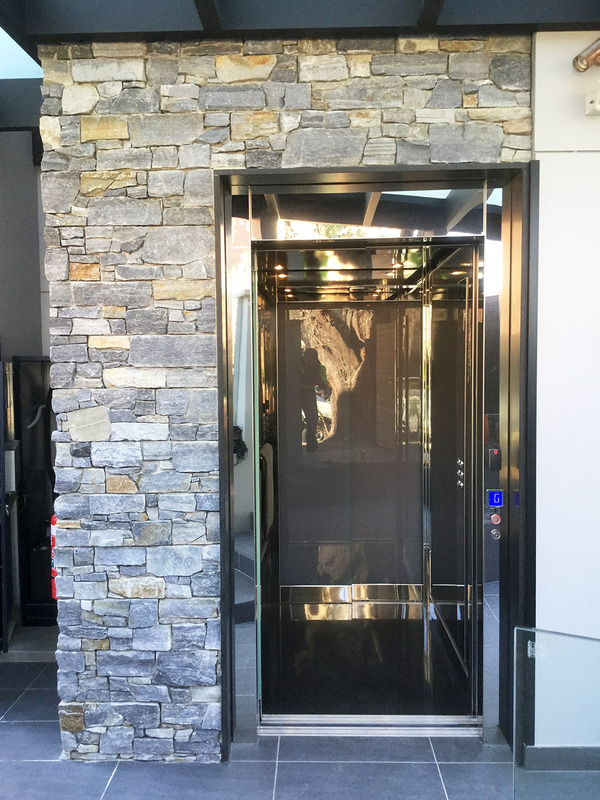 For this property no compromises were made, as such the best product for the job was Elevator Boutique’s E2 sliding door home elevator. On the ground level, the owners opted to clad the shaft in a striking blue stone, which was contrasted by our frameless white milk glass doors. End result – simply stunning!